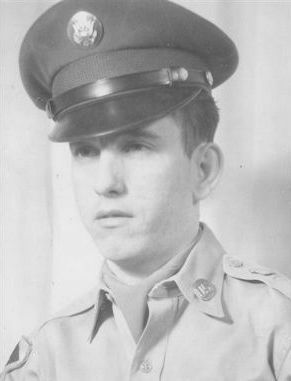 John was part of a split group of Aviation Airplane Mechanics - part of the men went to Service the L-19, and others were sent out with Howitzers on guard Duty, B-C 3/18 Artillery as Metro, splitting HQ Btry into 2 unit's. Teach yourself to Fly... For FREE! << Click here and take a little ride on one of John's nicely maintained L-19 planes. 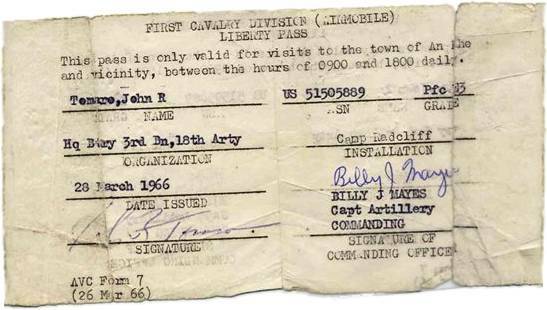 John was sent to Ia-Drang Valley as part the 88th Infantry. John arrived there by Chinook on Nov 4, 1965... John still laughs as his Birthday was November 4 and, because of International date time, he had his Birthday twice November on 4, 1965. As a young man strung out across the Valley, he never knew where he really was at, or the men with him. 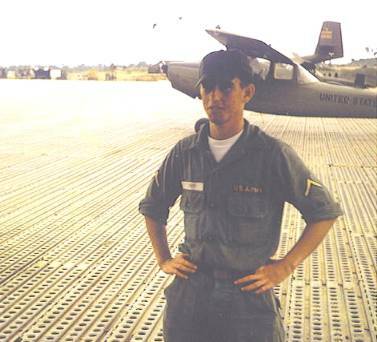 John was Discharged in July, 1966 from An-Khe Vietnam but arrived in Oakland, California in June of 1966: he was discharged a month early. John and his wife Arlene make there home Cohoes, New York.